Entertainment | More Crunchy Beach Mama! 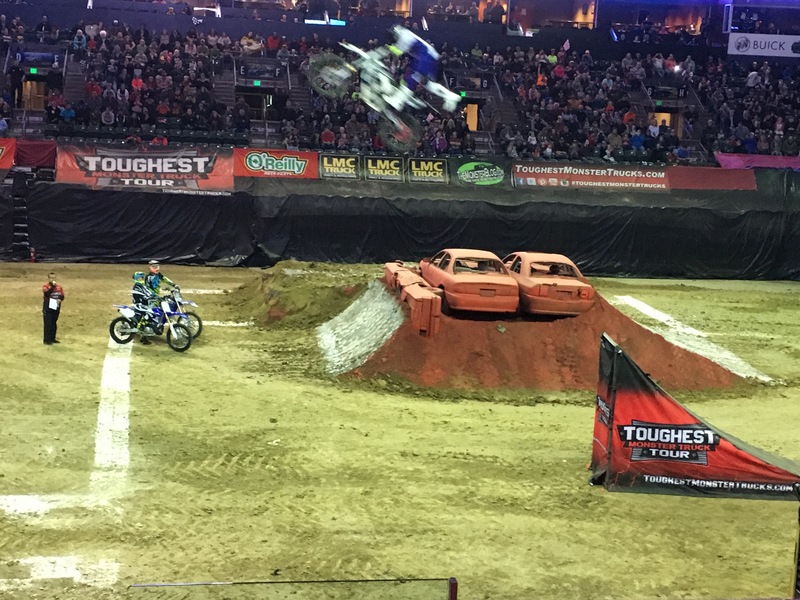 Last night we attended our first monster truck show – The Toughest Monster Truck Tour. We knew it would be loud, but wow it was loud! Besides that, it was fun! 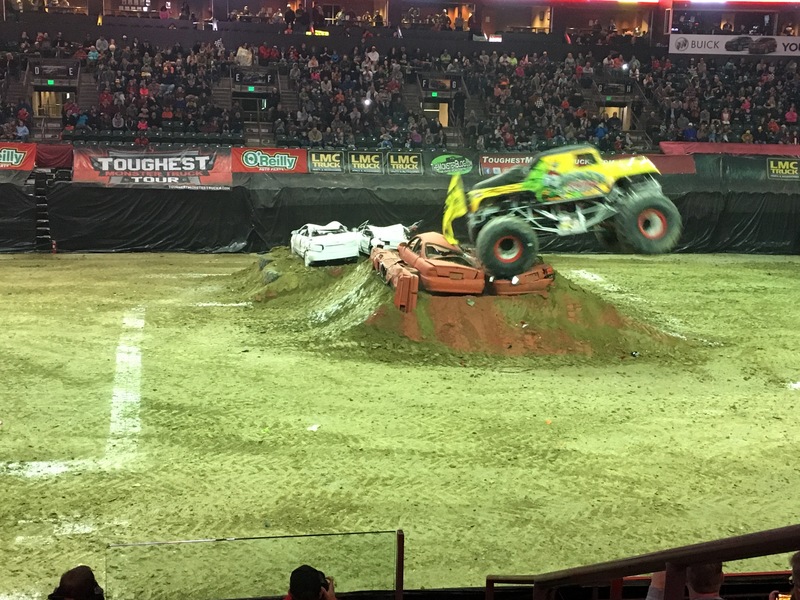 Six monster trucks competed in different rounds to see who would score the most points by the end of the night. First up, the wheelies! The last big round was freestyle where the six trucks showed off all their coolest moves. The crowd loved it and cheered them all on. In between the freestyle motorcross bikes sailed up the ramp and did tricks as they flew through the air. My family LOVED them! 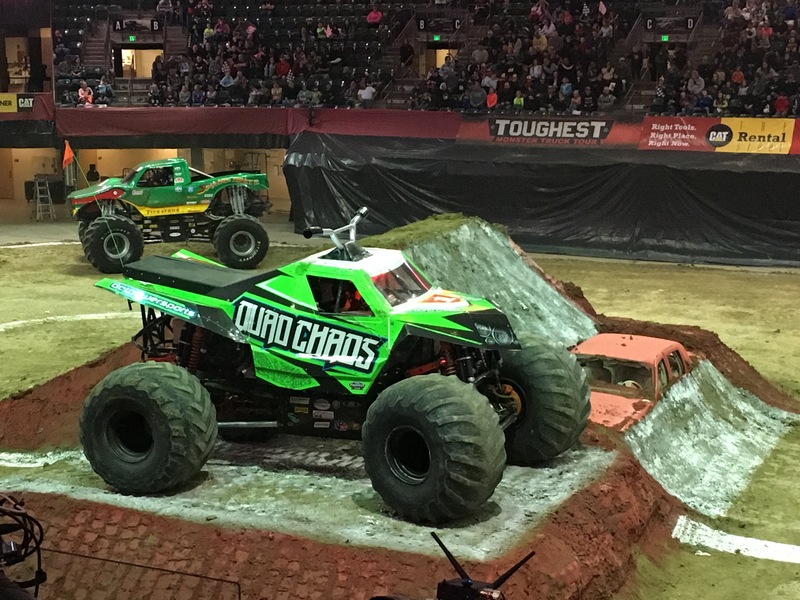 Have you been to a Monster Truck show before? 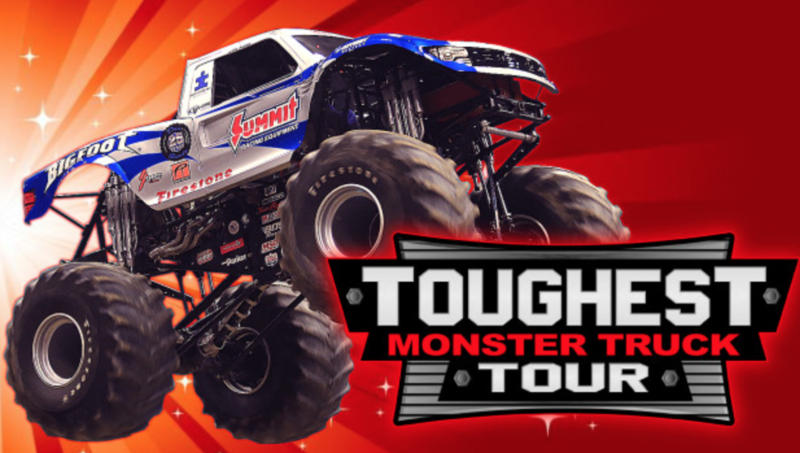 I’ve partnered with The Toughest Monster Truck Show and US Family Guide for free tickets. I have three boys and have never been to a Monster Truck show. We’ve talked about often when they come around, but have never snagged tickets. This April I am excited to take them to their first show which I know they are going to love! 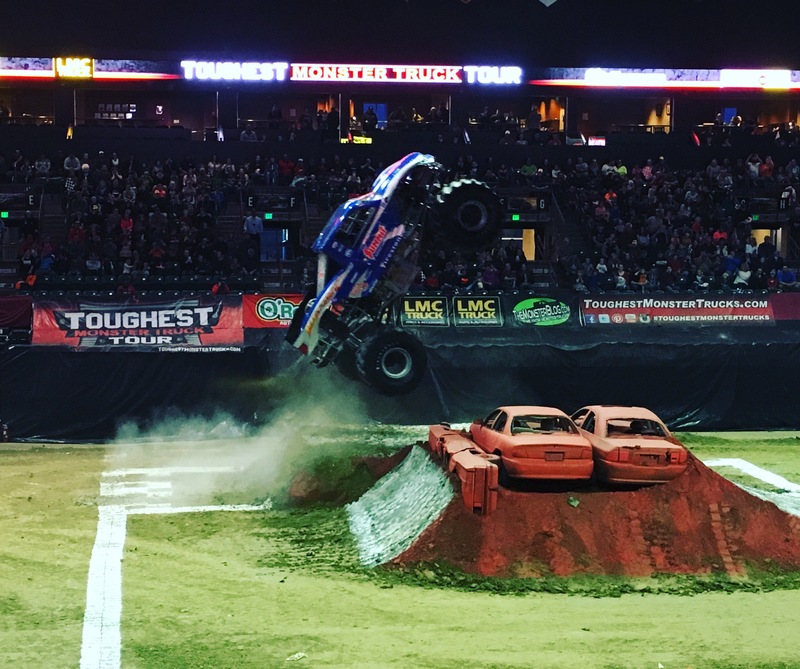 The Toughest Monster Truck Tour is coming to Loveland, CO and maybe to a location near you too! They bring only the best and baddest monster trucks in the nation to compete in 3 competitions each night. Only one can be the Toughest! In addition you might see high flying Freestyle Motocross riders, a giant fire-breathing mechanical dinosaur, ATV/quad racing, tough trucks or a 2,000 hp jet powered ATV. So much fun!! 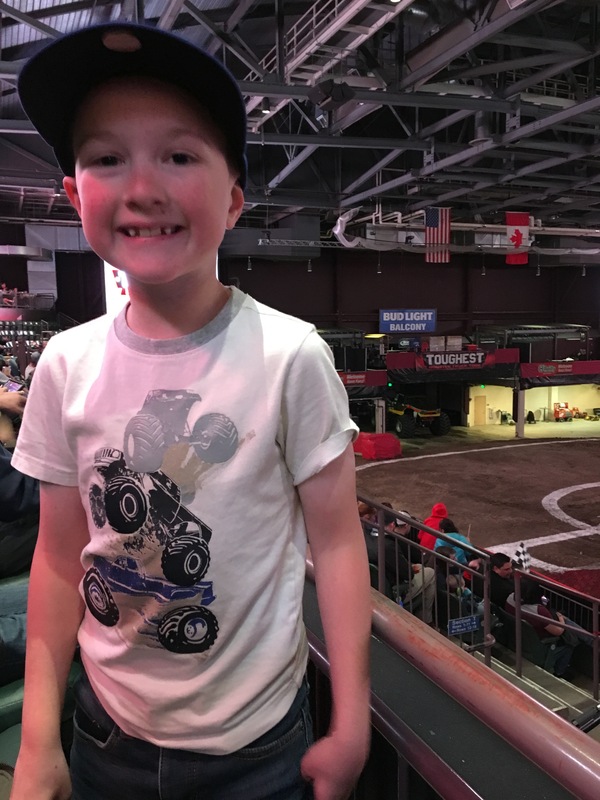 Have you been to a Monster Truck show before? Watch for my review in April!